And then people go on saying: “We do not have the money to spend on advertising with Facebook to build our followers”, “I tried Social Media for a while – it does not work for me”, “Social Media does not work in my niche” and so on. And the truth is: It is not magic, you do not need a ton of money to get it started and it is not limited to one special situation or niche. All of you can do it and use Social Media for getting traffic to your site, blog or product page and building an audience. And if you know how, you can use that traffic to your own advantage. You just need to know how it all works. We know that many entrepreneurs are lacking a huge marketing budget, when they are starting out. We have been in the same situation. But what they have – and what we had when we started – is commitment and eagerness to make it happen with hard work and persistence. And that are perfect conditions for starting out with Social Media Marketing. So we decided to pass on our knowledge and what we learned about marketing, to enable you to build traffic and attention for your own business. We are going to teach you how to grow a following in social media and traffic from social media to your own site, your business page or products. We show you how to target in social media, how to grow followers in individual networks, we talk about content marketing and how you can save time with automation. We believe in our methods. It is not only us who use them. Many of the well know Social Media influencers use these methods, too. Everything we teach you, we have tried ourselves. We grew traffic, signups and gained a lot of business with these methods. We are still using these methods. We do not want to rip you off! We give you a 30 day money back guarantee. If you signed up and realize this course is not right for you: Just write us an Email and we will refund you – no questions asked. We guarantee results! If you finished the course, invested your time and money and still do not see any results: We will examine your specific situation and try to fix this. If we cannot help you, we will refund you completely. You can find out more about the Social Media Traffic Generation Masterclass here. Today with the first launch we are offering you a very special introductory price for the course: Instead of the final prize of 445$ for the complete course and lifetime access to all course material, today you can get this lifetime membership for as little as 89$. This offer is only going to be available for a limited time. 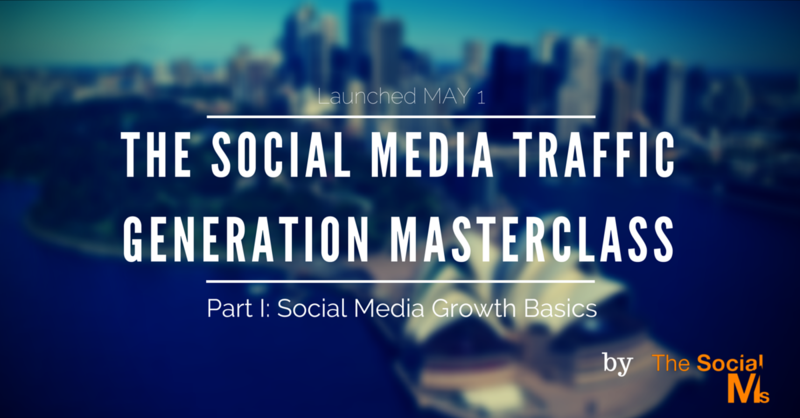 You can Signup for the Social Media Traffic Generation Masterclass here. We are building this course for YOU! So please let us know what you think.